Jenny McCarthy takes a stroll with her shirtless gay hairdresser. ShortList cover model David Gandy would like to tell you about his favorite style icons. Richard Hatch is going to prison for tax evasion. Again. While gay rights still have a very long way to go in Poland, things are starting to slowly change: "Socially, being openly anti-gay is becoming as unacceptable as being anti-Semitic: A decade ago it was possible to hear otherwise cultured and intelligent Poles declaiming on how Jews controlled both capitalism and communism, but outside of marginal groups like soccer hooligans, such views are now almost never publicly expressed." Nashville clergy members in support of discrimination bill say that they have been "in prayer that a spirit of inclusion rather than exclusion would descend upon our city." Seawalls in Japan provided very little protection during the quake and subsequent tsunami: "The tsunami that followed the quake washed over walls that were supposed to protect the plants, disabling the diesel generators crucial to maintaining power for the reactors’ cooling systems during shutdown." 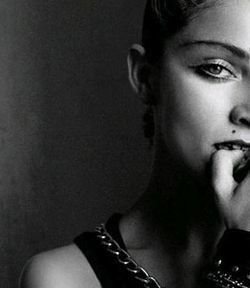 Unseen photos of a pre-fame Madonna published in Out. Capuchin monkeys have figured out a new way to "fish" for termites. Department of State spokesman P.J. Crowley resigns after coming under fire for comments about Bradley manning: "The unauthorized disclosure of classified information is a serious crime under U.S. law. My recent comments regarding the conditions of the pre-trial detention of Private First Class Bradley Manning were intended to highlight the broader, even strategic impact of discreet actions undertaken by national security agencies every day and their impact on our global standing and leadership." Marriage equality advocates in Maryland vow to keep fighting. Only 1% of the residents in the Siberian city of Novokuznetsk vote to approve anti-gay legislation in their city.